The choice of whether to buy a male or female is often just a personal preference. However, there are some differences you should be aware of. Females are usually smaller than males with preferred size for females between 18″ and 21″ at the shoulder while males will stand between 20″ and 23″. Intact (not spayed) females will come into season approximately every six months and must be completely confined for three weeks during that time. Intact (not neutered) males tend to wander, especially if there are females in the neighborhood who are in season. If you spay or neuter your pet, these things will not be a factor. Neutering will also prevent some health problems that can develop later in your dog’s life. What is a pet puppy? This is a puppy that is healthy with a good personality but may lack desirable qualities when compared to the breed standard. The breed standard is the written description of the ideal of the breed. Often the imperfections of the pet puppy are minimal and are things that the person looking for a pet would never notice. A pet puppy should not have any serious health or temperament problems! Some typical faults that may cause a breeder to consider a happy, healthy puppy as pet quality are teeth imperfections (breed standard calls for a full compliment of teeth which meet in a scissors bite), color that is not rich and clear, faults of toplines, legs, or earsets. 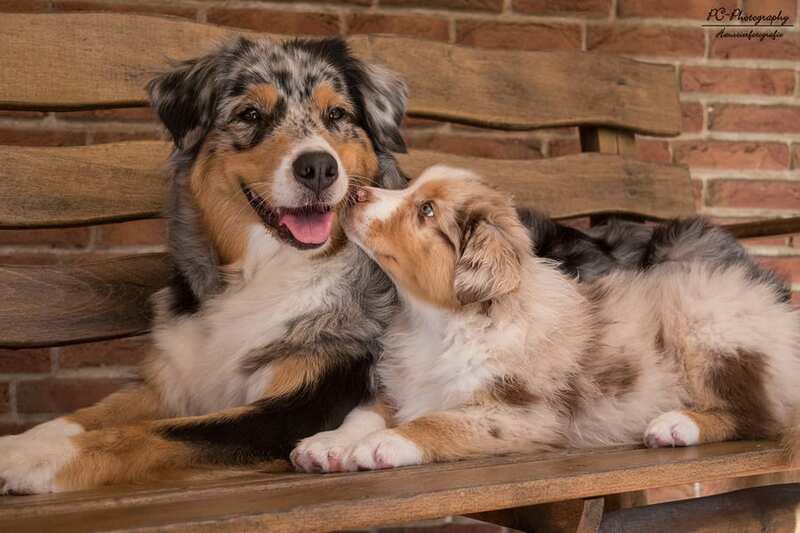 The Australian Shepherd Club of America (ASCA) has a box on the registration application where the breeder can mark “not for breeding purposes” when selling a puppy. Often the breeder will specify in their guarantee that the dog be spayed or neutered. 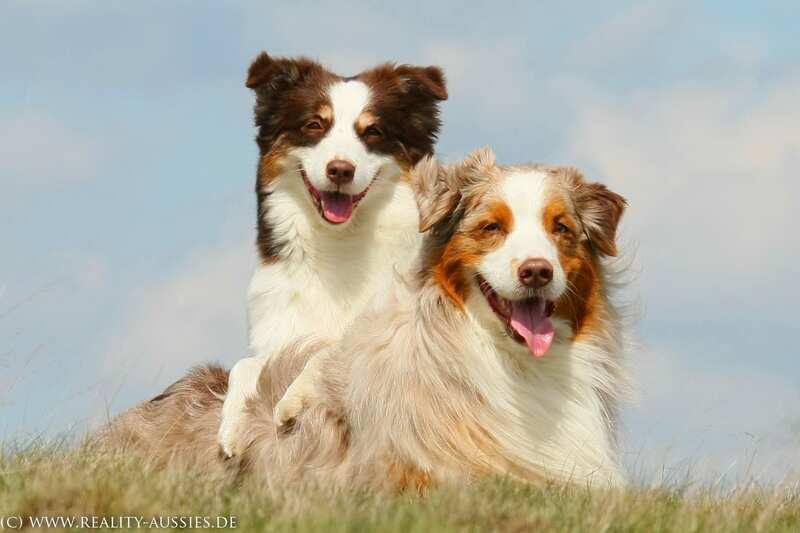 Spayed and neutered Aussies can compete in all ASCA programs, including an Altered Conformation Program. Dogs competing in conformation, whether altered or intact, can earn points towards breed championships. The same breed standard applies to both, including faults and disqualifications, with the obvious exception of reproductive parts. You should also advise the breeder as to your plans for the puppy. A show quality puppy should come as close as possible to the breed standard. No one can guarantee just what the puppy will grow up to look like, but a knowledgeable breeder can see potential and should be honest with you in evaluating their puppies. Not all Aussies that are for sale are eight-week old puppies. Breeders often have older puppies and adults for sale. Various factors play into the sale of puppies and why a breeder has kept one or more for a longer time. Many breeders elect to wait for the right home to come along, rather than risk placing a pup in the wrong situation. Or, they may be considering keeping the pup for themselves, but later change their minds. Although a puppy is usually cutest at eight weeks, it won’t stay that way very long. They soon progress to the leggy, awkward age and go through all the stages of young animals growing up. There are some advantages to buying an older puppy. Because they do not need to go outside as often, they are often easier to housebeak. With a breed like the Aussie, it would seem like an older puppy or adult dog would not adjust to a new owner. 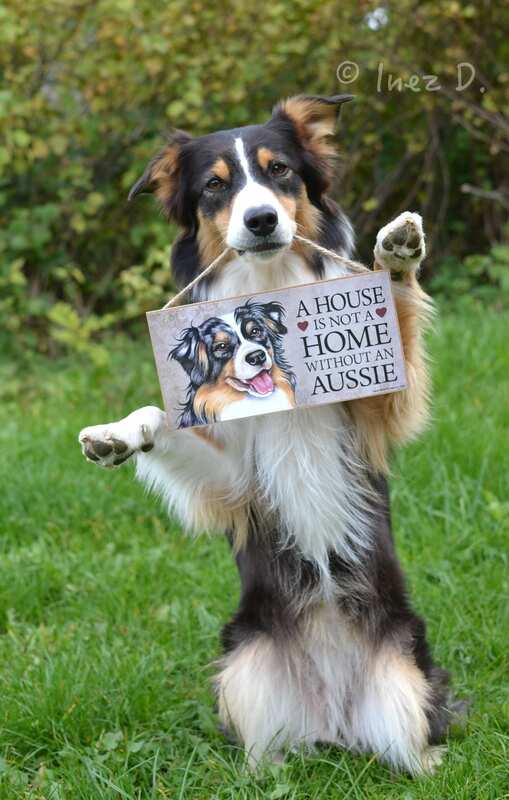 Given love and attention, Aussies will bond to a new owner even if they were previously part of another family. These dogs relate to those who love, train and interact with them. So don’t overlook the older dog if the work of a little puppy seems like to much for you. The Australian Shepherd Club of America (ASCA) is the parent registry for the Australian Shepherd and was founded in 1957. ASCA keeps the stud book on Australian Shepherds, registers Aussies, sanctions Conformation, Jr. Showmanship, Obedience, Stockdog, Agility, Rally, and Tracking competitions and awards titles in the above areas. ASCA also records Hall of Fame Kennels, Sires and Dams. Year-end award programs are available to competing dogs. If you are looking for a stockdog, it is extremely important that both parents are working stockdogs. If at all possible, see the dogs work or see video or pictures of the dogs working. No one can look at the puppy and see the inherited ability to work stock, as these traits cannot be tested until much older. Working ability can quickly be lost by breeding individuals who may not have the intense instinct required of a working dog. Ask for a written guarantee that the puppy will work livestock if buying the puppy for that purpose.